It seems that Respawn Entertainment’s new game, Apex Legends, has been received very well by the gaming community. Since its official reveal yesterday and the announcement that it was available now, many gamers have decided to give it a try. 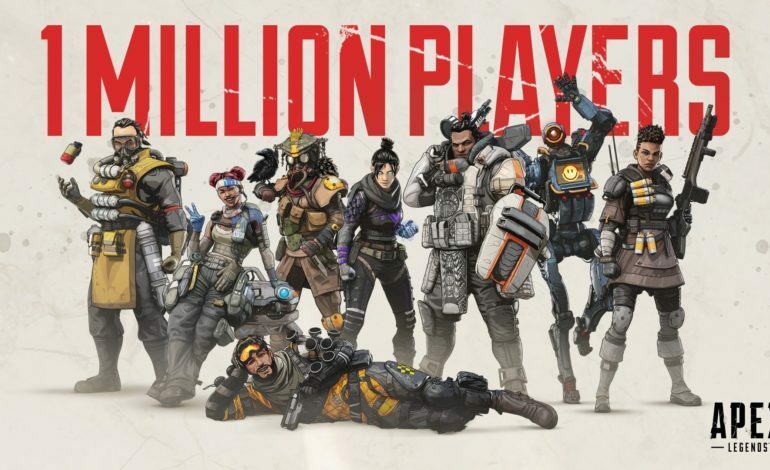 Vince Zampella, CEO of Respawn Entertainment, tweeted out that Apex Legends had 1 million players by the end of the day. McCoy also brought up Titanfall 3, stating that “There are some people who think there are too many battler royale games or it’s a fad, the world thinks we’re making Titanfall 3 and we’re not – this is what we’re making”. While this may make some fans unhappy, Vince Zampella went on Twitter again to say that not only are they working on more Titanfall, it’s coming sooner than many people may think. We’ll have to wait and see what it may be. Apex Legends is a free-to-play battle royale game set in the Titanfall universe. It is tactical and squad-based that has you choose from 8 different characters. Each character is very distinct and they each come with different abilities. There are 60 players in total that are split up into teams of three. One of the major things that make this battle royale different from others in the genre is the Respawn mechanic. If you can’t revive a teammate in time, you can pick up their banner card and take it to a respawn beacon. After that, the teammate will re-enter the match, however, they will have to loot back up as they start again with no weapons or equipment. Another aspect that makes this game unique from the others is the ping system. This system allows players to communicate different things with the push of a button, such as weapons, ammo, equipment, and enemies. Apex Legends is available for the PlayStation 4, Xbox One, and PC.